Learn to Play for FREE! 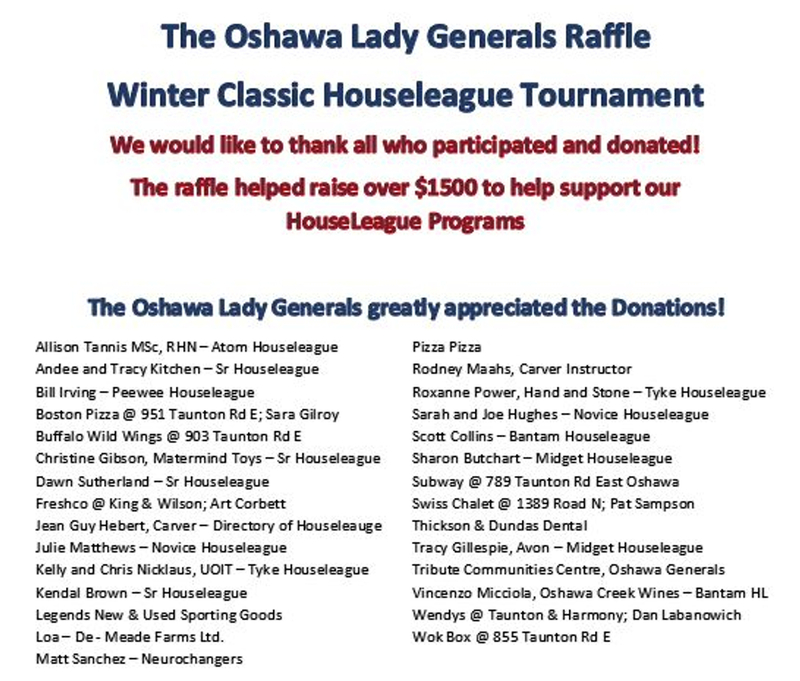 The Oshawa Lady Generals would like to thank the following organizations for providing assistance with our programs/initiatives. We encourage our members to show their appreciation to these sponsors when looking for places to do business or shop with! Please contact the Director of Sponsorship and Fundraising for sponsorship opportunities.